Today, there are countless ways to communicate—email, text, buddy, share, video chat, conference—and place a call. This brings tremendous advantage by increasing the speed of business. But it also spawns equally tremendous complexity. How can IT departments keep up with administering and securing a multitude of applications? 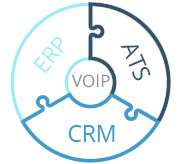 We build phone systems with unified communications (UC) built in, not bolted on. 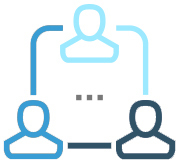 This means that we integrate all the key components for robust business communications—voice, email, instant messaging, presence (i.e., being able to check the availability of a co-worker), calendaring, video and audio conferencing and desktop sharing—into one seamless package. Other vendors provide pieces of this puzzle. They may offer a desktop sharing solution. Or they may offer video calling, or messaging. But it’s rare to find a company that offers an entire suite of enterprise-quality quality communications tools designed as integral pieces of the the core IP PBX business phone system. Are separate applications for chat, desktop sharing and conference calling slowing your workflow? Do you want to access to communications tools that are easier to use? Connect your whole team for better business. ShoreTel Premises Collaboration unifies daily communication tools— including video, file sharing, IM, on-the-fly conferencing and more—so that your employees, customers and prospects can communicate more effectively and in real-time. No matter the distance, workflow and business relationships can be seamless. 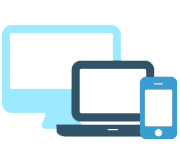 Ensure your offsite and mobile workers have the flexibility and connectivity they need while giving your IT staff the control they require by integrating smartphones, tablets and wearable devices. ShoreTel Mobility enables businesses of any size the ability to integrate their team’s smartphone and tablet of choice with their existing phone system−securely, simply and cost-effectively. Employees can BYOD (bring your own device) and stay connected from any location worldwide, on any network— Wi-Fi, 3G/4G, or cellular— all while keeping business and personal calls completely separate. Today’s business runs on the constant stream of information. Integrating your phone system with your core business processes can serve as a force multiplier by weaving call record data, customer account information, and activity trends into reports that release their true productivity and analytic potential. By integrating your core business applications with your organization’s communication system – unified communications become a reality. These are just a few of the benefits that innovative solutions can lend to help to increase employee productivity, shorten response times, encourage collaboration, and improve customer satisfaction. The result is a more efficient and profitable enterprise, increasing the return on investment of both the communications platform and the customer’s existing business applications.